It's Road Safety at Work Week in British Columbia. An initiative of the independent provincial statutory agency WorkSafeBC and the Justice Institute of B.C., the campaign is designed to promote work-related road safety and runs from March 6-10 in 2017. According to a study conducted from 2011-2015 by WorkSafeBC, motor vehicles crashes are the leading cause of traumatic workplace deaths in British Columbia. Their data indicates 20 workers a year are killed on average due to motor vehicle crashes while driving for work. Furthermore, another 1,260 employees are injured each year. It's numbers like these that have sparked WorkSafeBC to take action and promote road safety in the workplace. One of their efforts is the Road Safety at Work Week program. It provides an opportunity for B.C. workplaces to improve awareness and adoption of road safety policies and practices. But who says it needs to be limited to just one province? Road safety is important throughout Canada, but especially when driving pertains to the workplace. According to a 2016 Road Safety at Work employer survey, 75 per cent of B.C. businesses know they have legal responsibilities for safety when employees drive a company vehicle for work. However, only 59 per cent understand their legal responsibilities extend to workers who drive their own vehicles on the job. The main focus of Road Safety at Work Week 2017 is to convey the message that employers are responsible for the safety of workers when they drive for work no matter who owns the vehicle being driven. If the vehicle is used for work, it still classifies as a workplace, even if it is a mobile one. Therefore, employers have legal obligations in regards to employee safety. But Road Safety at Work Week is more comprehensive than that. The program offers tips and advice on how to observe the initiative for both employers and employees. Make sure employee-owned vehicles are up to the task, which means regularly inspecting and properly maintaining them. 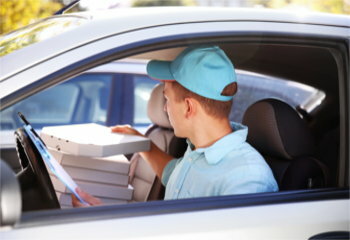 Confirm workers know and follow driving policies and procedures set forth by the company. Every workplace needs to have safety policies and procedures in place. Provide employees with instruction, training and supervision needed to ensure their safety. Periodically check to make sure workers have valid driver's licences. In addition, employees also have responsibilities when driving their own cars for work. Make sure their vehicle is licenced, insured, operated and maintained in accordance with the Motor Vehicle Act, its regulations, and other applicable statutes. Obey all applicable traffic laws and practice safe driving. Know and follow company policies and procedures. Don't drive (or work) if under the influence of alcohol or drugs. Report work-related hazards to their supervisor or employers. Make sure proper safeguards are in place in the workplace - even when that workplace is on the road. Discuss road safety with employees. Check vehicles employees drive for work for safety and review their driving records and insurance coverage. Also, there are plenty of road safety for the workplace resources and materials on the Road Safety At Work Week website. You can check out materials, take quizzes, take an online course, and more. Strong workplace road safety programs can help businesses reduce crashes, avoid lost work days, and, most importantly, reduce injuries and deaths. No matter where you live, it's never a bad time to practice road safety, and Road Safety at Work Week is a great opportunity to step it up a notch. But in order to practice safe driving, you need a car. 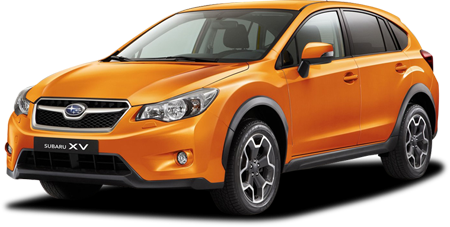 If you are dealing with dinged credit and are looking for financing, Canada Auto Loan is here to help. We've assisted thousands of Canadians by connecting them to the right local dealership. Our service is free and our process is fast. Start the process today by completing our secure online auto loan request.